I spent 3 hours of my toddler’s precious and limited nap time last week reflecting over an entire year of reading, thinking, podcast listening, and living—and condensed it all into ten handy life lessons for this blog post. It was brilliant. And when I reached that satisfied “finished” feeling, I promptly deleted the whole thing with one errant keystroke. Gone. Unrecoverable. Is this even possible in the era of autosave and command-Z and temporary trash, you ask? Yes it is, and I managed it. I may have wailed a dramatic “Nooooo!” for a moment, but I quickly recovered, shrugged, and told myself that it was just an important practice round for the real post I was supposed to write. Because whether or not it’s true, thinking that thought made me feel a million times better. So here I go again. 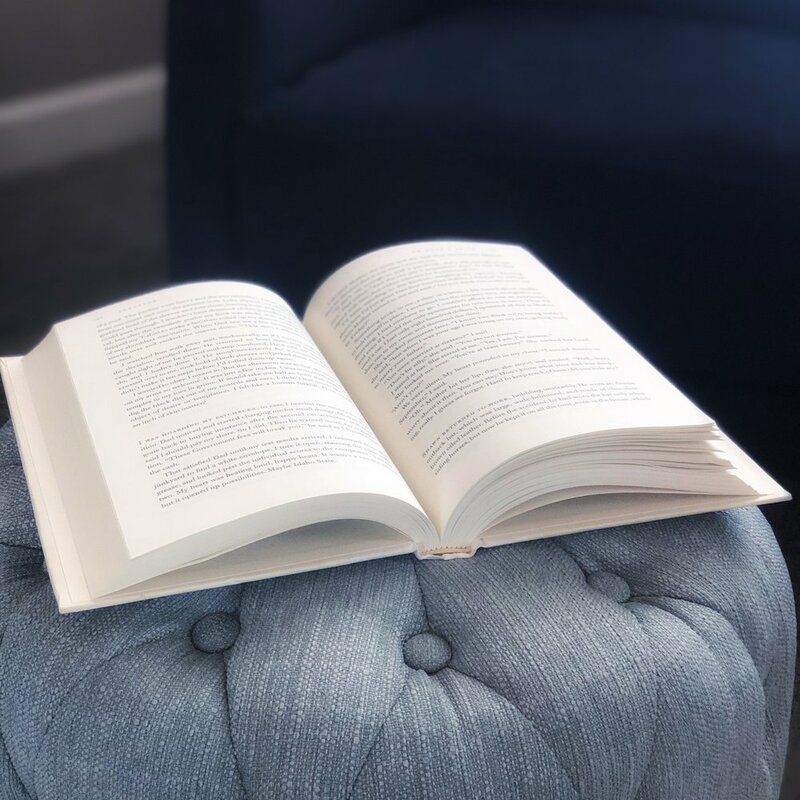 Here’s my reading roundup from 2018—a collection of insights and a-ha moments gathered from books, audiobooks, ebooks, podcasts, a particular email newsletter, and even Instagram. As long as I can remember, most of my goals and New Year’s resolutions have centered around fixing failures or addressing inadequacies. My unspoken theory was that I didn’t need a goal to motivate me to do something I enjoy. So, goals for me have often been about restriction, discipline, and deprivation, in one form or another. Yeah, super fun. Last year, it occurred to me: why not set some goals around things I already love to do? It was a game changer. In 2018, I set an ambitious reading goal (for me), amounting to about a book a week. 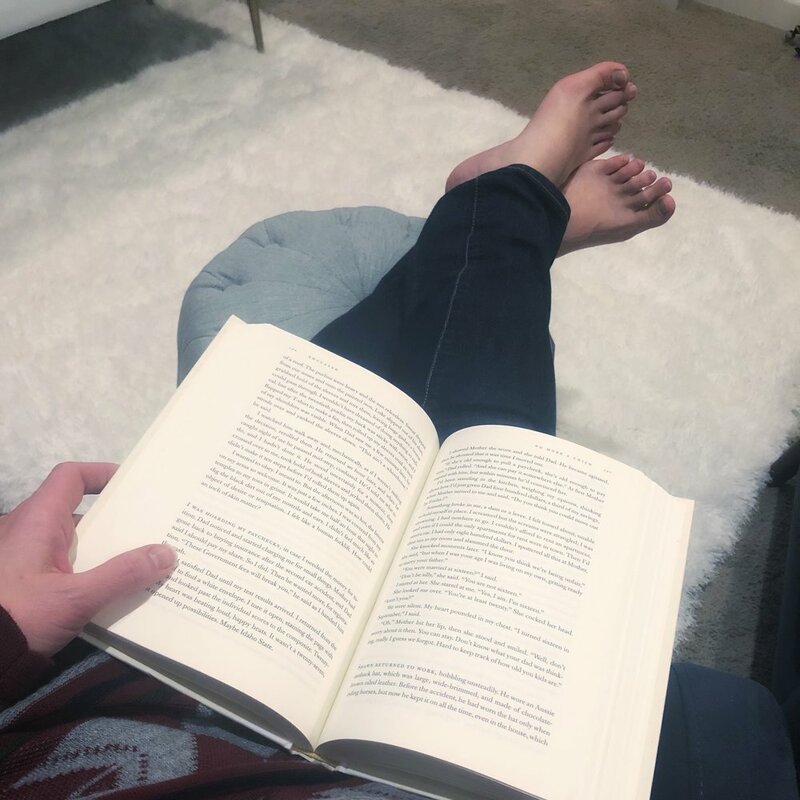 Reading is a favorite pastime, but at my current stage of life (working part time as a marketing writer, writing books of my own, and parenting two young children, including a rambunctious toddler), I don’t have a ton of available hours to curl up with a book. Yet, despite a challenging year, I managed to hit my goal right on the nose. Fifty books. And it was still only possible thanks to my current obsession with kid lit (e.g., short books) and audiobooks. I loved having this goal to focus on when life got hard—a goal that I truly believed was beneficial, worthwhile, and FUN. Now, I don’t expect anyone else to be impressed. 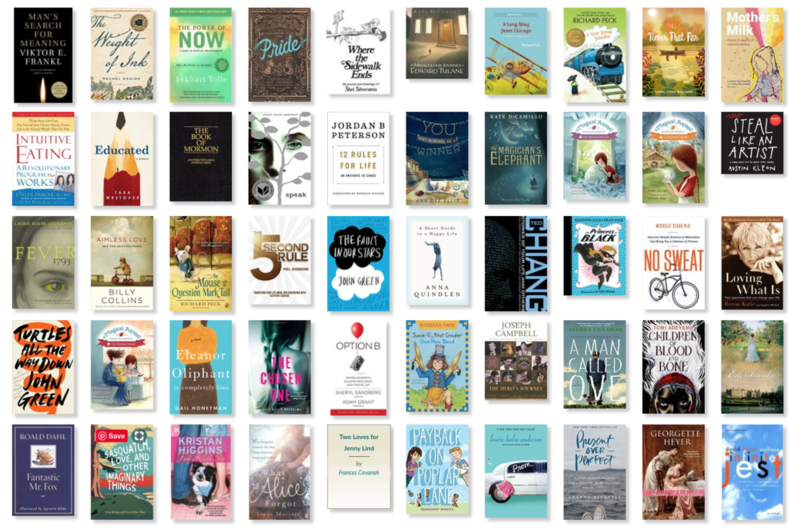 I have friends who blast through 100+ books a year and have more than twice as many children as I do, but I am impressed that I did it, and that’s what counts. This may not be a revolutionary thought to you, but it’s changing my life. I am not my mind. Yes, I’ve encountered this concept before, but it has taken root this year in a totally new way. Eckhart Tolle’s The Power of Now resonated deeply with me. As I practice, I’m gradually learning to observe my thoughts from a higher place. I don’t have to identify with my thoughts or give them any more power than they deserve. I don’t have to be driven or dominated by my thoughts. And, when I confront and question them, which Byron Katie taught me how to do in a practical, step-by-step way in her book Loving What Is, the thoughts let go of me. I don’t have to let go of them. When I’m able to rise above my mind and observe it from the realm of spirit and soul, there’s no fear or anxiety there. Only peace, which feels a whole lot like the pure love of God. Tolle’s and Katie’s books have provided a secular gateway into a favorite scripture, “Be still and know that I am God,” which I’ve always loved in theory but didn’t quite know how to put into practice, until now. I also learned this year (I can’t remember the source) that in the original Biblical text, “be still” has the dual meaning of “let go,” which feels both beautiful and true. This little truth bomb came at me in all kinds of formats this year, from The Alison Show and Better Than Happy podcasts, to the Tolle and Katie books, to books like No Sweat and Man’s Search for Meaning, to a lecture by a marriage and family therapist (Scott Anderson) at my church. And with the anxiety that surfaced in my life this past year, this understanding couldn’t have come at a better time. As Anderson explained, laying out the science that backs it up, our thoughts create our emotions, and our emotions motivate our behavior. Neuroscientist Antonio Damasio says, “We are not thinking machines that feel. We are feeling machines that think.” Most of us are unaware of the extent to which our emotions dictate our decisions. And the only way to gain control of our emotions is through confronting and curating our thoughts. When we realize WE GET TO DECIDE what things mean in our pasts and even in the present, everything changes. In the current state of political discourse—so polarized and tribalized—it seems like empathy has all but disappeared from the public sphere. But then you remember that fiction is empathy. This concept was reinforced in a class at a local writing conference I attended, taught by Ann Dee Ellis, author of the lovely middle-grade novel You May Already Be a Winner. If we didn’t believe it was possible to understand someone very different from ourselves, or for two minds to meet in common understanding, then writing would be impossible, and no one would bother reading. Empathy is what allows us to inhabit another’s life deeply enough to write or to read. And if you ever need to teach a child why empathy is important, The Miraculous Journey of Edward Tulane is a good place to start. It deals with some challenging themes, for sure, but I think children can often handle more than we give them credit for. It’s about a china rabbit who loves no one but himself, until he is thrust on an unwilling journey that opens his eyes to the breadth of human experience. Love and loss and hope and heartbreak. It’s beautiful, and so is The Magician’s Elephant by the same author, the incomparable Kate DiCamillo. I mentioned my newly discovered health anxiety, which was an outgrowth of 12 years of infertility followed by two miscarriages and a watchful pregnancy, in which I was constantly scanning head to toe for the slightest physical twinge. Along the way, I wore some worry grooves into my brain, creating some neural pathways that are no longer useful, if they ever were. I’ve sought therapy to help me get it under control, and one question my therapist asked was: what is it that I’m ultimately afraid of if I do get whatever diagnosis I’m afraid of at the moment? Is it an early death? The pain I would experience? Leaving my children motherless? What is underneath the anxiety? I discovered that I’m afraid of feeling afraid—of all of the above. So, my brain is creating the future reality I’m worried about (a state of fear) in the present, which is super helpful and logical, right? I’ve already found the place where the self ceases, thanks to Eckhart Tolle. It’s that state of blissful “being,” of dwelling within my spirit and rising above my human mind whenever I can, even while here in this mortal sphere. One way I’ve put this lesson into practice is through my Worry Wednesday ritual, which I recently wrote about on Instagram.